Wine: What pure and elegant wines! 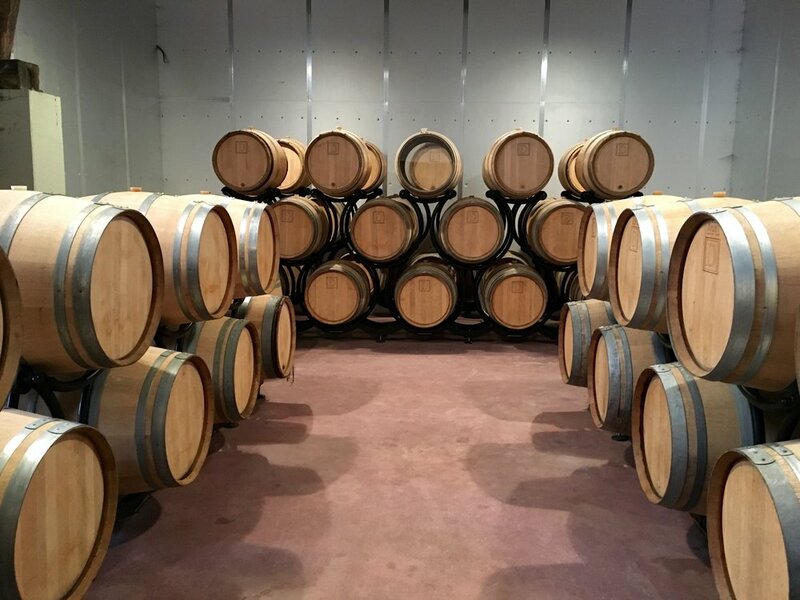 Charles Doyard is the 12th generation to grow grapes and the 4th to make wine at Doyard. His guiding principle is to make great wines that pair beautifully with food, but they also have bubbles! 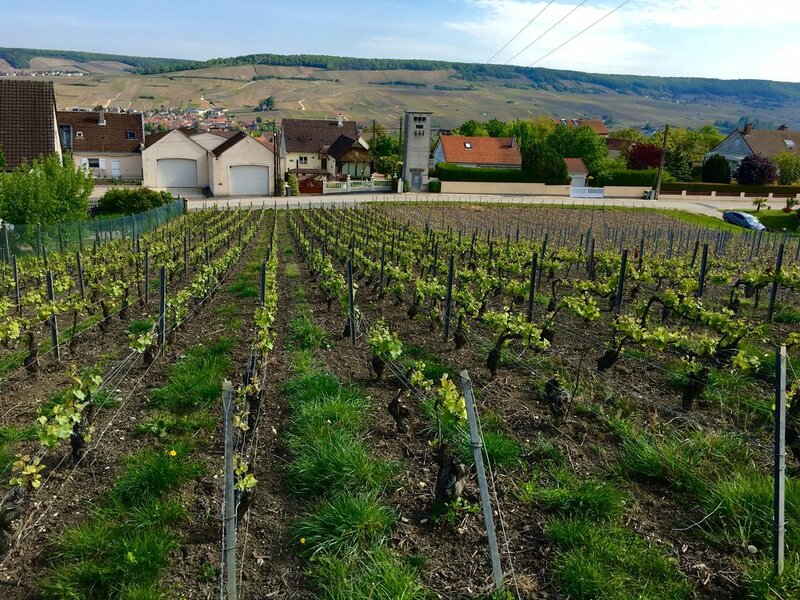 When Charles came back home to start working with his father in 2006, his first step was to work diligently in their 11 hectares of vineyards to revitalize the soil. He is practicing as much organic farming as he can but being pragmatic and leaving himself the option to use chemicals when necessary (such as in very rainy years to fight the mildew). Charles believes wines are made in the vineyard. 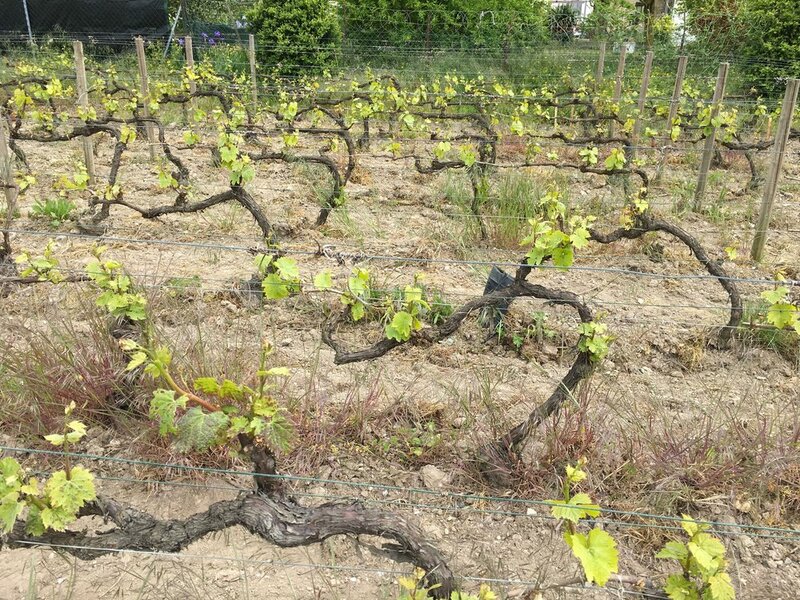 80% of their chardonnay is cordon-trained rather than chablis-trained (as much of the chardonnay in Champagne is--note the photos below to see the difference--it's cool!). 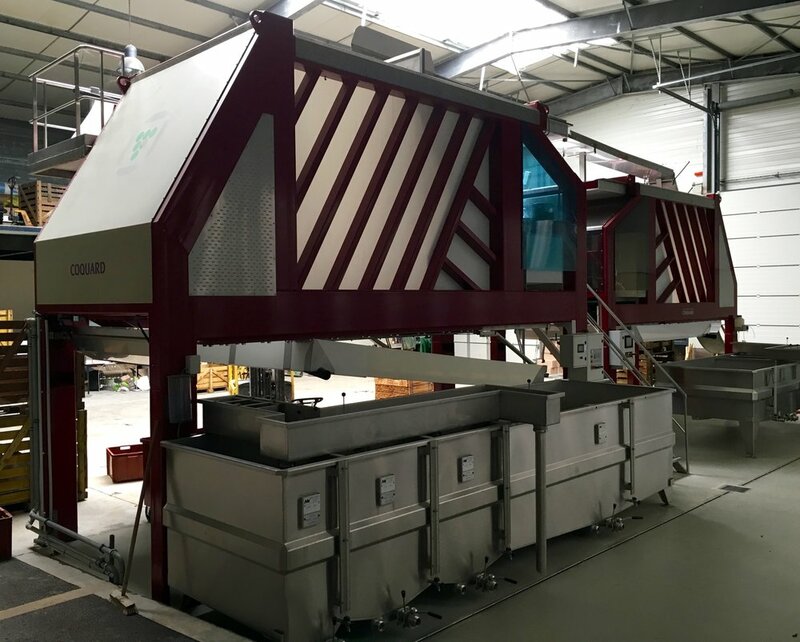 This brings more concentration and more acidity to the grapes. 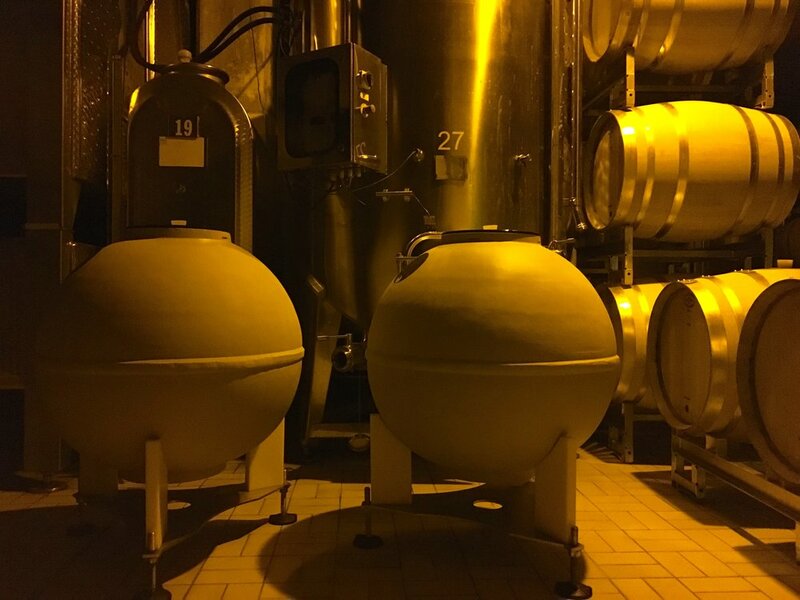 Notable things they are doing in the winery: Using a Coquard hydraulic press, using the absolute minimum amount of SO2 to avoid malolactic fermentation (sometimes it happens partially), aging the wines 8 months before bottling for the 2nd fermentation, aging on the lees a minimum of 3 years and often closer to 5, and doing the least dosage possible - anywhere from zero to 4 at the most. Tasting of 5 wines: 1. Cuvée Vendémiaire 1er Cru Brut 100% Chardonnay: Base wine is 2011, 40% barrel & 60% stainless, 15% malolactic fermentation, 4g dosage (lemon, green apple, lemon tart, reminded me of Chablis yum.). 2. Revolution Grand Cru 100% Chardonnay: Zero dosage, 7 years in bottle on lees, 50% barrel/50% stainless, partial malo (white flowers, saline, rhubarb, lemon). 3. 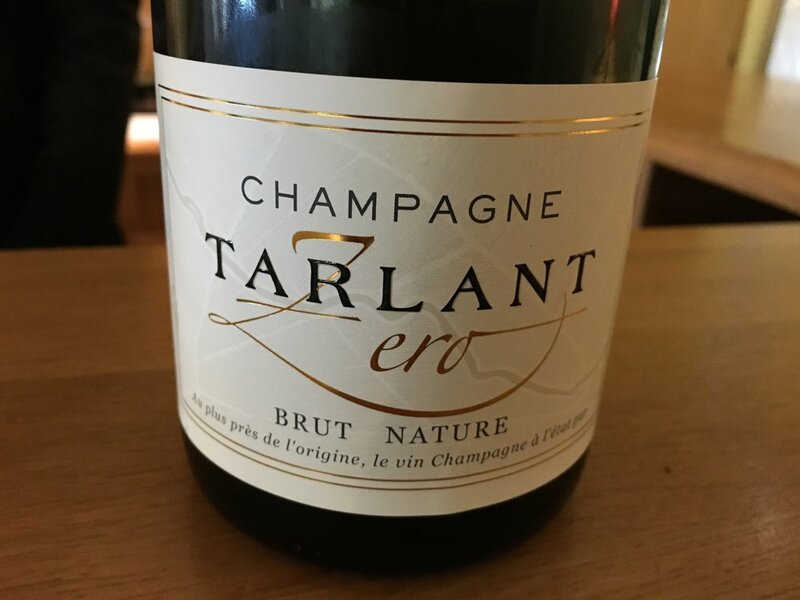 2009 Grand Cru Blanc de Blancs Extra Brut: 100% barrel, no malo, .6g dosage (elegant, rounder at first taste then refreshing acid and then long finish of lemon creme, like a Chablis Grand Cru with bubbles). 4. Clos de l'Abbaye 2011 1er Cru Extra Brut 100% Chardonnay: 60-yr-old-vines, no malo, 100% barrel, 3g dosage (biscuit, saline, butter, lemon zest, amer as in "amer biere," i.e. bitter in a good way). 5. Oeil de Perdrix 2013 Grand Cru Rosé Extra Brut: 75% Pinot Noir/25% Chardonnay, pinot noir in barrel, 2g dosage. A press rosé--not blending of still red wine as is common in the region (quelle finesse! rhubarb jam, cherry tart, pie crust, strawberry). My take: A comprehensive and fascinating tour! Charles is open and engaging and so clearly communicates both the process and his/his family's philosophy. A special experience with such elegant wines! They have a small hotel on site as well. 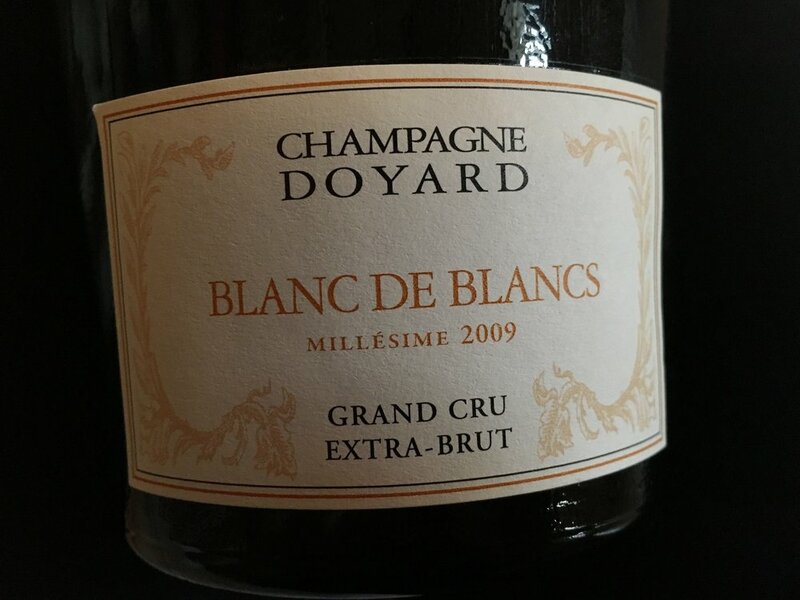 More on Champagne Doyard. Wine: I love these wines--there is just so much going on in them! The style in general is rich and more concentrated yet incredibly fresh. 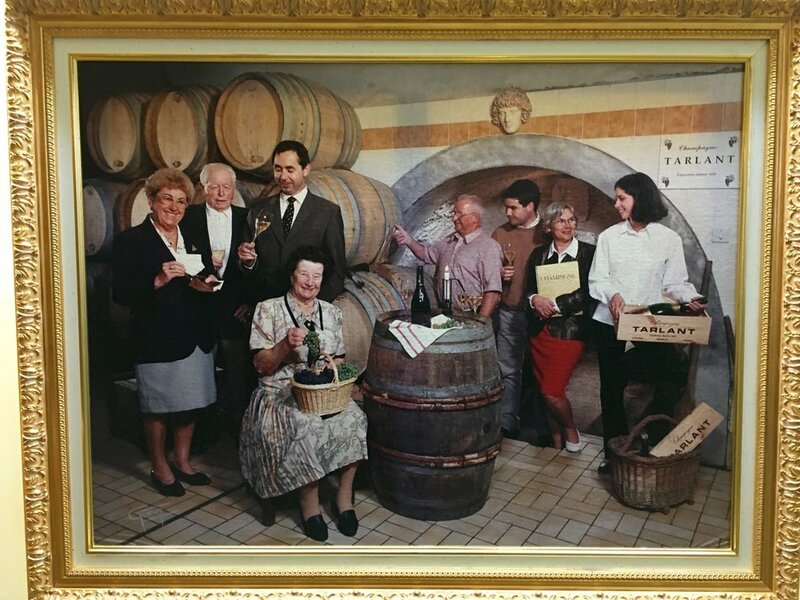 Laurence Ployez is the 3rd generation vigneron in this family domaine. She uses only the 1st pressing for all of their champagnes and doses around 3-4 grams. 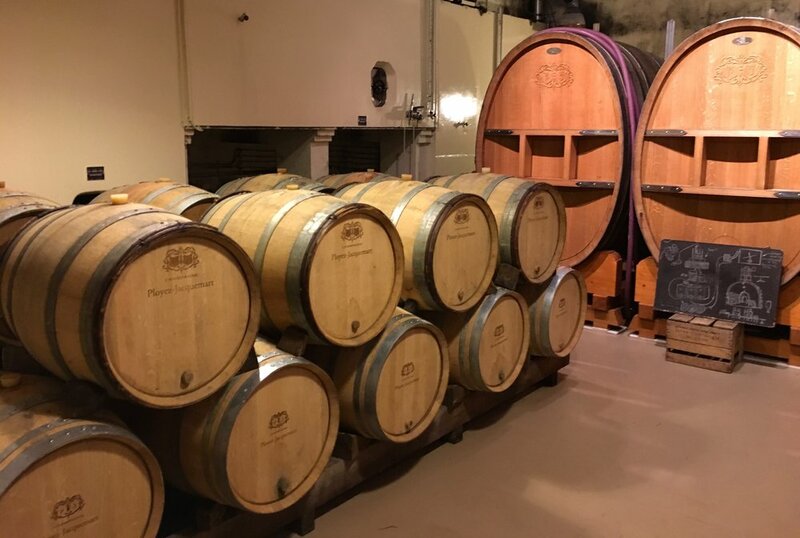 There is a network of amazing tunnels beneath the domaine where the bottles sit for lees aging for a minimum of 3 years and up to 10+ years for the vintage wines. One level of tunnels sits 25 meters below ground and underneath another set of tunnels. 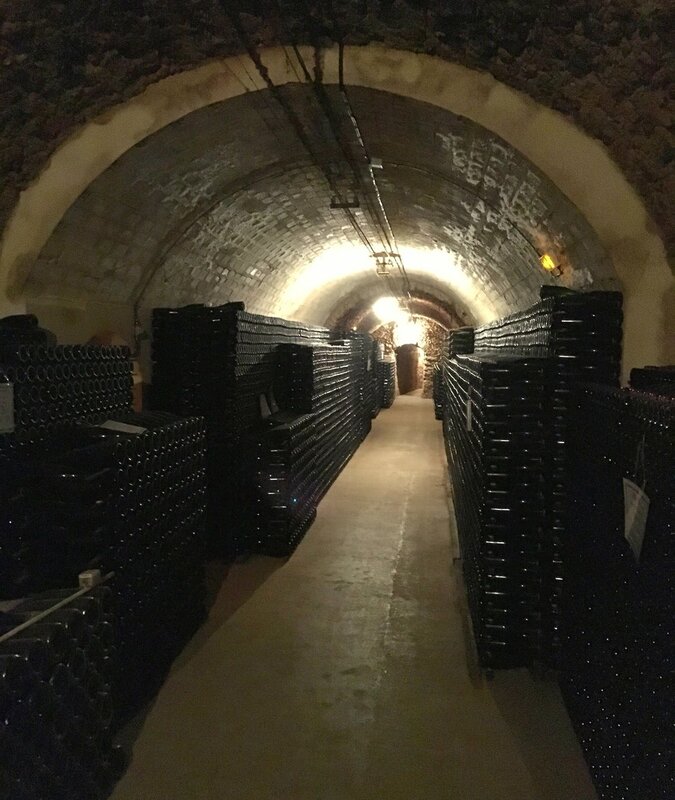 Walking through the tunnels feels like walking back in time as you come across each stack of bottles and see the signs indicating the harvest year or cuvée number. Tasting of 4 wines: 1. Extra Brut Blanc de Blancs NV--but mostly 2006 harvest (citrus, brioche, fresh-baked bread, melon, apple). 2. Extra Brut Blanc de Blancs 2005 (hard cheese, salty, brulée, orange brioche, citrus). 3. Extra Brut 2005 1/3 chardonnay/1/3 pinot noir/1/3 meunier (wild strawberry, caramel, brioche, white mushrooms, round). 4. d'Harbonville 1998 Brut 100% chardonnay (fermented in oak, Chassagne-Montrachet with bubbles, mind-bogglingly good - tasted the 1999 too and it was even better). My take: Champagne is magic and this place proves it. Their caves are full of history and atmosphere. The wine making is impeccable. 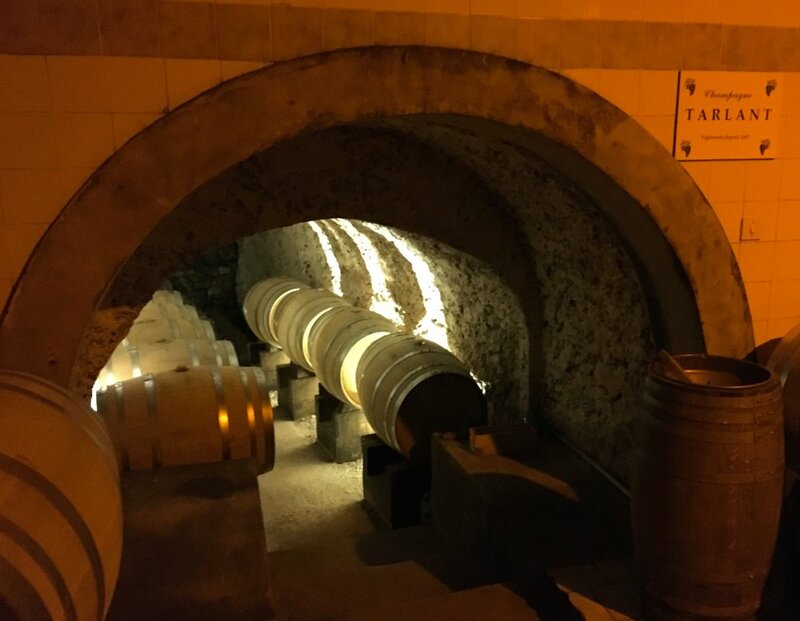 The tour is an excellent primer on the champagne method and is really fun too (the tunnels!). A must in Champagne! More on Ployez-Jacquemart.